Planning for the financial security of your family is one of the most important things a person can do. Mehdi CPA offers cost-effective and flexible estate planning services allowing you to manage changing family needs while limiting your estate’s exposure to taxation. By working directly with your estate attorney and financial advisor, we can help provide direction and consistency in all of your estate planning decisions to help you achieve your short and long-term objectives and ensure that your estate will not be destroyed by imposed taxes. 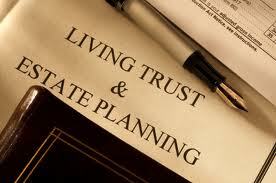 Mehdi CPA has long been involved in serving our client’s estate planning needs and delivering peace of mind. Whether you are looking to reduce the overall tax burden for your estate, or simply want to ensure your assets will be allocated according to your wishes, our professionals are dedicated to achieving your goals.